Are you ready for lobster mini season? Lobster Frenzy, Bug Season, July Superbowl — call it what you want, but the last two consecutive Wednesdays and Thursdays of July have been designated as lobster mini-season since 1975, when, in an attempt to reduce tensions between professional and hobbyist bug hunters, the Florida legislature enacted a bill establishing a 48-hour recreational lobster sport fishing season before the official open of the commercial season. It was, in short, a success. For 2017, the two-day event is scheduled for July 26 and 27 and today, those 48 hours translate into a veritable hysteria out on the reefs, with over 50,000 people in the water at any given time. Last year’s estimates posit an increase of over 900 times the usual density of boat traffic across the reef system. To be clear, that’s a lot of boats out on the water — and a lot of bodies underneath them, ferreting around, often without the proper equipment or dive flags being flown overhead. It’s a tumultuous, exciting, dangerous time for anyone out on the water, and for those looking out from land, the view is often unbelievable. “It’s like D-Day, but with bikinis,” remarked one local overheard at Sloppy Joe’s last week. In the 41 years since its inception, mini-season has grown to become one of the most well attended and fiercely competitive events in Florida. Thousands of tourists from across the country fly into the Keys days beforehand, filling up hotels, RV parks, marinas, and the guest rooms of obliging friends and family. It’s a huge day for recreational fishers, for the hospitality industry, and especially, for charter boats, which can sell out months in advance. Families, couples, singles and strangers jostle together, all fighting for a spot on the most coveted boats, many of whom have honed their list of secret dive spots over the course of decades. Customers are provided with the necessary gear, whether for scuba diving or skin diving, and lead out onto the reefs to try their luck with a tickle stick. (Yes, that’s a real thing.) The laws are strict: a legal bug must have a carapace (that’s the middle part) of at least 3 inches and weigh 1 pound or more. Anything smaller, lighter, or bearing eggs (females can carry as many as 2 million neon orange eggs on their bodies at a time) gets thrown back. 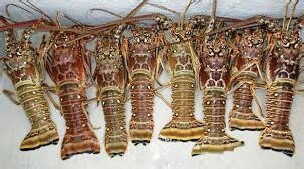 In Monroe County, the legal limit is six lobsters per person, per day, with the possession limit on the water equal to the daily bag limit. Rule breakers who are caught get punished, hard: fines, jail time, their mug shot splashed across the daily sheriff’s blog. For those venturing out with a legal charter, a good captain will provide equipment, instruction, and a strongly enforced environment of safety — for both passengers, and the reef. Capt. Steven P. Lamp, who runs Dream Catcher Charters, has seen firsthand how overenthusiastic and under-prepared tourism can wreak havoc on the delicate reef system that surrounds Key West. He makes sure each of his charters implements safe diving practices as well as environmentally conscious anchoring, the absence of which can cause mass destruction. “I can’t tell you how many hard groundings we see out there, smashing into the flats with boats that really should not be in the backcountry. Anchors that flip over coral heads by folks who power out to get the anchor up…” It’s vital that people take the time to do things safely, not just for their own well-being, but so that they can enjoy themselves. Lamp has been in the business for over a decade, his charters some of the most highly reviewed in the Keys. He’s seen it all, and nowadays, business is good enough that he only takes a limited number of charters out on one of the two days of mini-season. His charters do everything possible to ensure that it’s the customer who bags his or her bug, not the captain… the old teach a man to fish proverb. You don’t have to be Michael Phelps to enjoy a full day’s worth of lobstering, but it is recommended that participants have, at the very least, an adequate amount of experience with snorkeling. Tides can change, and with so many bodies in the water it’s important to always have a partner nearby. Diving alone, never recommended, has had deadly consequences in mini-seasons past; just two years ago, 22-year-old Joseph Grosso had wrapped up a successful day of diving with his brother when he decided to go back down, alone, for one more dive. It’s unclear whether Grosso became tangled in his dive rope or simply misjudged the amount of air he had left in his scuba tank. He surfaced unconscious, and despite resuscitation attempts, died of suffocation. The drive to catch just one more has proved fatal in a number of other instances, which is why so much of the marketing surrounding 2016’s mini-season seems to be centered around safe diving practices. So, how best to snag a bug during the mad rush to the reef? First, understand your prey. The spiny lobster is most often found hiding under coral heads, though they can also be spotted walking slowly forward across the ocean floor. But, when startled, their leisurely stroll turns into a disappearing act; bugs will flex their tails and jet backwards at shockingly fast speeds if they catch even a hint of danger, usually into a deep hole that is very hard to pull them out of. This, friends, is where you want to grab your tickle stick (and to those guffawing that you should grab their tickle stick, instead: you’re gross). Gently tease the back of the lobster, which should cause it to amble forward. Once it has emerged from its hidey hole, you’re in position to place your net behind its tail. Take advantage of the creature’s built-in defense mechanism by moving your tickle stick to its front. If you’ve done your job correctly, your bug will be frightened enough to zoom backwards… directly into your net. If it sounds easy, it’s not. Lobster can be fiendishly difficult to coax from their protective caves, and any murkiness in the water can make visibility impossible. You are not allowed to spear them, and if you’re lucky enough to find one, you may also find yourself elbow-to-elbow with someone who swears they spotted it first. More importantly: before you are allowed to remove a lobster from the ocean to put in your boat, you must first measure it to ensure it meets the legal limits. Hundreds of bugs have been lost to those sorry souls who gleefully manage to snare their first bug after hours of trying, only to find out it’s a hair too short. There are those who swear by the lobster snare method, while purists maintain the only real way to catch a bug is by using your own two (gloved) hands. Whichever method you choose, be conscious and wary of other ocean creatures that might make their home alongside a lobster in its hole, including moray eels, stingray, fire coral, and lionfish. Steer clear of commercial lobster traps, and of protected waters, including the Dry Tortugas and Everglades. Make sure your dive gear has been recently checked. Make sure you’re in good enough shape to tread water twice as long as you might think. Make sure you have your dive flag, that you never dive alone, and that you avoid accidentally snaring someone’s head instead of a lobster. Make sure you’re protected from the sun (contrary to popular belief, clear water is not SPF 50) and that you have plenty of provisions in your boat, including a radio. Make sure you are kind to the reef, and to your fellow hunters.